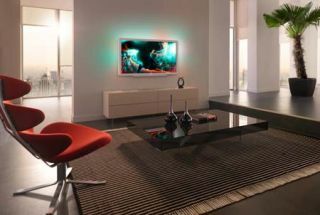 Philips' 2011 TV range in full | What Hi-Fi? We've been in Barcelona getting a first look at Philips' consumer electronics range for 2011, including of course the company's televisions. As always, it's an eye-catching bunch from the Dutch company. We've got images of all the forthcoming TVs and details on all the key products. First some quick technical explanations. Firstly, Philips now has active and passive 3D TVs in its range. Philips is calling its active sets 'Max 3D', while its passive TVs (based on LG's Film Patterned Retarder panels) will be known as 'Easy 3D'. Philips is happy to state that it believes active 3D delivers better performance due to the higher resolution but that most people may well find passive 3D more comfortable to watch. Secondly, Philips' televisions are LCD designs complete with LED backlights. LED Pro is the company's name for full array, direct LED screens, with sections of individually controllable LED lights behind the screen. This technology is found in the premium sets in the range, while the rest have edge LED backlights. Also worthy of note is Philips' use of the phrase Smart TV - now seemingly ubiquitious in the world of television. Often used to refer to internet-enabled content, Philips' Smart TV refers to four distinct features of the TVs, of which Net TV, the company's internet-enabled content, is only one. The others are Control, taking in remote apps and a new interface, SimplyShare, referring to the DLNA capability, and Program, which stands for the company's new EPG and USB recording features. And last but not least, all models will now feature Freeview HD tuners. At the time of writing we only have confirmed details on the 32in set.